It’s a common knowledge that honeycomb cells are hexagonal, but very few of us really know why is that so. Do you? One can guess that perfect hexagon structures are a result of human interference with bees lifestyle. Well, it isn’t incorrect – wax foundations are used in modern beekeeping in order to optimize the honey production process, but simple research can show that all natural beehives are also constructed from almost perfectly aligned hexagons! We at MyBeeLine don’t like to leave facts unchecked, so we decided to research and find out why bees prefer hexagons over circles, triangles or squares. Beehive isn’t only a home for bees, but also a working and storage space. There can be more than 50.000 bees in a beehive who are using the beehive for honey production, storing supplies (honey, pollen) and rearing broods (i.e. lay eggs and raise them to adult bees). Since they can’t rent out an additional space or garage on Airbnb, they need to optimize all available space. Cells in a hive are made of beeswax, highly ‘expensive’ substance since bees need to consume eight ounces of honey for every ounce of beeswax they produce. With all of that given, little bee engineers discovered that creating circular cells would leave them with lots of unused space while building squares or triangles requires way more beeswax. Additionally, storing honey in square cells could cause a collapse since weight and force aren’t evenly distributed on all sides of a cell. 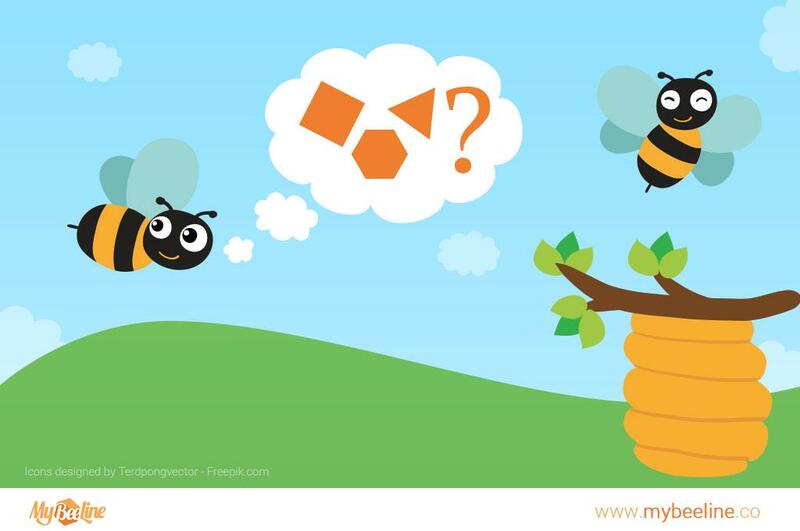 Just like us at MyBeeLine, bees are in love with optimizing things, so they decided not to waste any inch of a beehive! We already knew that bees are amazing little creatures, inspiring humans to optimize their space wherever possible. For example, hexagonal structure of a beehive-inspired Belgian designers who created a concept for a stackable campsite for maximum space utilization and efficiency!